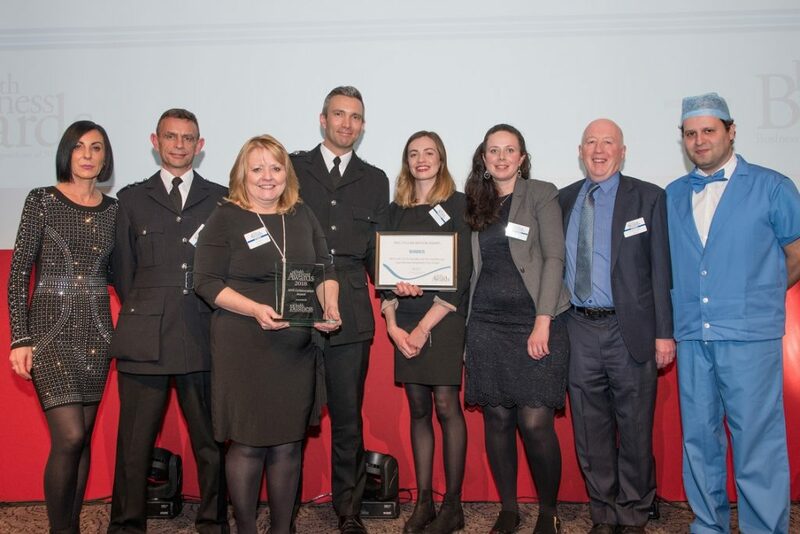 The photograph shows Erica Daley (third from left) with members of Humberside Fire and Rescue and members of the ICC team receiving their award in London a few days ago. Hull’s Jean Bishop Integrated Care Centre (ICC) has scooped the Best NHS Collaboration Award at the recent national Health Business Awards. This is the third award that the ICC has picked up in three months, coming only weeks after the centre won the Innovation in Health & Social Care Award at the Health and Care Awards and Partner Project of the Year Award at Humberside Fire and Rescue’s annual Community Awards. In a new and unique approach to health and care, a comprehensive specialist team at the ICC including Older People’s Consultants/Geriatricians, Advance Nurse Practitioners, GPs, Pharmacists, Therapists, Social Workers and the voluntary sector primarily treat frail older people in Hull with long term conditions who have been assessed by their GP as being at risk of hospital admission. Humberside Fire and Rescue also has an operational fire station on site and provide a falls response team as well as responding to other fire and rescue incidents. The NHS Hull CCG Board chose to recognise the outstanding contribution of Jean Bishop, Hull’s ‘Bee Lady’, 96 year-old champion fundraiser for older people, by naming the ICC after her. Jean is a Freeman of the City of Hull, and was awarded a British Empire Medal earlier this year after individually raising more than £125,000 for Age UK. Be the first to comment on "Jean Bishop Integrated Care Centre wins Best NHS Collaboration in national awards"